El Cheapo: Building A Rat Rod For $1,500. Episode 13 - Wiring! El Cheapo: Building A Rat Rod For $1,500. Episode 13 – Wiring! When you hear the words:”that wiring harness was a piece of cake,” or “that was so easy a child could have wired it;” know that these will never be the words of a 20-something wiring his first Hot Rod. It will always be the words of an older guy who has owned several rods, and has a good working knowledge of cars in general. If this is you, you will have little interest in this column. If on the other hand you’re a 20-something, or new to the world of rodding, I trust you can pick up a nugget or two that you can keep in your mental rolodex. I’ve tried every major wiring kit out there and would like to break down some things I think will help you. To set this up, I’m convinced that the writers and makers of these kits have never sat in a hot rod, let alone owned one. There are usually four sections to a kit. The front, rear, dash and steering column. The front section has about 15 feet of wire when you’re only going up about three or four feet. The wires to the dash and column are so short on the other hand, you must mount your fuse box on the drivers side. 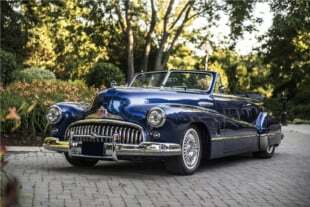 The only problem is, in a hot rod you barely have room for a brake and gas pedal, let alone a fuse box. If you are lucky enough to mount it on the drivers side, you would pull your hair out every time you needed to change a fuse! Needless to say, you will have to splice every wire in your dash and column section in order to mount it on the passenger side where you can actually get to it. Now that I’ve vented for a minute, let me digress to the workings of a typical harness. As mentioned, there will be four sections of wire coiled up and cable tied. It’s easiest to start with the rear section because it has the fewest wires. There will be a left and right turn-signalwire. There will also be a third brake-light wire. The brake-lights will work off the two turn-signalwires. Your brake switch will power your turn-signal switch and that in turn allows one light to stay on when brakes are applied and the second light will blink. If you don’t know this and you run your third brake-light wire to the back stop lights, all lights will flash when your left or right signal is on. If you’re doing an old school rod with no signals (and no third brake-light,) the third brake-light wire will work fine to run both brake-lights once spliced to both sides. One thing that will help you when tracing wiring problems down the road is to know power sources. The turn-signal switch powering your brake-lights would be one example even though it picks up from the brake-light switch. Another example would be the relay powering the dimmer switch, and then going to the headlight switch. It just helps you to know the line of current so you know which source to check first. The other wires to the back section will be a gas tank sending wire, and a parking-light wire. An expensive kit will say park lights and taillights and license plate light. A cheap kit will only have one wire that says either park or tail and you will have to splice it to the other tail light and the license plate light. This will conclude the back section. You will need to hold on to the extra length of wire you have cut off. You will need it later for sure. The next-easiest section to tackle will be the front section. There will be several more wires to contend with but nothing like the interior. Find the least congested place to drill your hole through the firewall (on the passenger side if possible.) If you tape the wires together about every 2 feet, it will make your life easier when pulling them through the hole.This is particularly true if your running a Chevy drive train. Most of your hookups will be on this side. The wires you will need are: high beam, low beam, parking light, and turn signal. These will be split for the left and right side. There will also be a single fan wire. The fan will have to be grounded to the frame in order to work properly. The wires you will need will be one high beam and one low beam wire which you will have to split and run to the other side. There will be one park light wire that you will split also to run to the other side. There will be a left and right turn-signalwire. There will also be a single fan wire. The fan will have to be grounded to frame to work. There will be an alternator power wire and another white exciter wire that will plug into the inside terminal of the plug on top if it’s GM. This would be another good place to stop and vent a moment. The generic kits will have different connectors for the alternator, distributor, steering column etc. and all of the connectors will be GM. If you’re running a Ford or Chrysler product there will be a lot of patch work to make it all happen. There will be a heavy red wire that will attach to the main post on your starter and another marked solenoid that will go to the S or start post on your solenoid. There will also be a coil wire that will go to the positive side of the coil or HEI and another that says tach. Something that won’t be in the instructions is that a HEI’s must have a filter in-between it and the tach or it will fry your tach. I mention this because there are a few wiring brands that come with no instructions! They say you can get the instructions online, but the information leaves a lot to be desired. The next wire will be your horn wire and again the horn will have to be grounded to the frame in order to work. None of the kits come with ground wires so this is where all of that extra wire will come in handy. It will help to keep all of your ground wires the same color in case you ever have to track a problem. Grounding will be your biggest nightmare in DC wiring. DC current will find a ground if you don’t give it one. That’s where you get into turning on the blinkers but the wipers come on. The way to prevent these things is to ground the body to the frame, the frame to the motor and the motor to the body. Always grind the metal you’re going to ground to, so contact is certain. This concludes the front section, except for your mechanical gauges which will be covered in the interior section. The two sections of wire left will say dash and column. Almost all of these wires will have to be modified unless you’ve got a Chevy steering column and are placing your fuse panel on the drivers side–which in a hot rod will both be unlikely. We will start with the mechanical gauges because they’re easy. The temperature gauge will be a copper line that screws into the water jacket of the block. 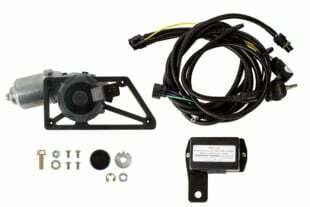 The plastic line for the oil gauge screws into a fitting on the back of the motor, and the volt meter will be a ground and single wire to the ignition. The tach wire will go to the negative side of the coil or in the case of HEI to a filter and then to the negative side of the distributor. Now for the dash and column sections. In the column wires there will be a horn wire that you can run to the column or to a button, either way it has to be grounded. There will be a hazard wire you will connect to a switch for flashers. Your left and right turn-signal wires will go to your blinker switch and blinker indicators to your dash panel. If you’re running an aftermarket signal unit it will have instructions where these go. There will also be a brake switch and third brake-light wire in the column section and the same in the dash section. Two will go to your brake-light switch and two to your turn-signal switch. Your remaining wires will be in the dash section will pertain to your dimmer switch, ignition switch, headlight switch and lighting and power for your lights and gauges. One will go to your ACC post and one to the ignition start side. The main post will be ignition power. Your aftermarket headlight switch will have a battery power post in the rear, and on the right two terminals will be taillights in front and parking lights in rear. These switches will come with no instructions, so these details will be helpful. The three dimmer switch wires will come with a plug, but have to be spliced as you will find them too short. Most all wiring companies mark their wires clearly so splicing is not bad as long as you keep a reminder sheet to know what wire goes where. You will be using left-over wires that may say something different so keeping a reminder sheet is very important down the road when you’ve forgotten what was what. As for your wiper and heater wires, they will be single wires that you will hook to switches and ground them. The radio wire that is constant hot so it’s a wise choice to splice this wire for a hot to a light you will mount on passenger side under the dash. This little light will have a toggle and save you on these dark nights when you blow a fuse and can’t see under there to find the fuse. The only wires left will be your gauge power wire and panel lights wire. Each of these will have to be spliced to run to every gauge. Also every gauge will have to have a ground wire added that won’t come with the kit. It will be easier on you if you group them in threes and then tie those together. Same with power and panel lights. It doesn’t matter much where you place your battery, but it does matter that you ground it close to the battery on your frame. This will save shorts later. Once you know everything is connected properly, it’s a good idea to cable tie your harness together and clamp secure along all areas. It not only looks better, but prevents snagging a wire with your foot. 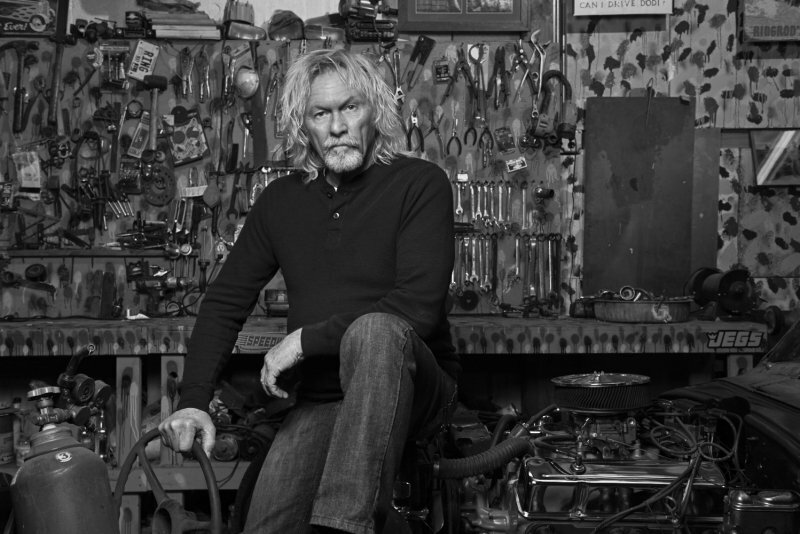 Tommy’s love for Hotrods was passed down from the elder Ring who wrenched on cars and welded. Tommy’s living came from music as a road musician in venues across America. Tommy also worked as a studio musician and wrote for a jingle company, yet always had a project Rod going on the side. 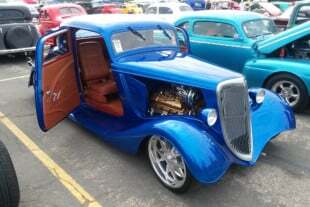 In 2009 Tommy opened RingRods HotRod Shop and in 2012 began writing for RatRod Magazine. Tommy also has a Rod Building Video sold worldwide. Tommy has been featured on TV, Radio, Podcast, and in several magazines.